Dr. Eddy Bettermann from Germany teach more than 10 years Live Blood Dark field Microscopy Analysis in Asia and around the world. In the tradition of the Professor Enderlein’s Theory. This unique course covers the width and breath of this very interesting topic. The objective of this course is to give you readily applicable knowledge of phase contrast, darkfield and brightfield microscopy. In order to give you a broad and balanced perspective, it encompasses both the present medical view, the latest research as well as the pleomorphic view. Contact us when are the next 3-day’s- ( $ 750), -6 day’s ($ 1.500) course’s, when are the very intensive live blood cell analysis course are available. The outline and the content of the course material for each courses are the same as we are also providing online. So there is no difference only in the time and intensity. Usually we are using the 3 day course as a refreshing course, and the 6 day course as more intensive training. If you are interesting in our online course with Dr. Eddy, the outline for the course you will find here. You can choose, you want to buy the full online course with Dr. Eddy’s one by one training via email, also can be arranged an appointment for online conference via zoom (option 1: $ 320 you can pay the course fee direct via PayPal) or you are interesting only to purchase the live blood CD (option 2: $120 you can pay the course fee direct via PayPal). After we receive your course fee payment, we will contact you and send you the links where you can download the course material. I want to buy online course with Dr. Eddy one by one training, include the Live Blood CD and 2 comprehensive course manuals here $320 (course outline here) more questions? contact us here. More details: What is the Live Blood Analysis interactive course CD? Discussion of therapeutic intervention will include antihomotoxic remedies, nutritional & dietary intervention, herbs, glandulars, well-researched enzyme preparations and also some remedies. 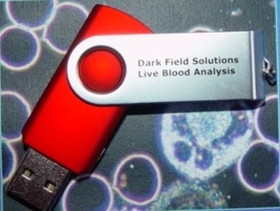 Next to the copious course notes, each attendee will receive a interactive dark field live blood analysis video course with comprehensive explanation (can also downloaded without the course), a complementary Biological Analysis script which is another, yet very related course in it own right. This gives the video microscopy course (can also purchased as online course, and can downloaded after payment) a very broad footing indeed. If you were looking for worthwhile training on a worthwhile topic, then you have found what you were looking for. concepts: Integrative Medical Clinic, Colon Cleansing, Ozone Treatment, Why Ozone? Course notes consist of full color note-page-printouts of some 300 PowerPoint slides. Thus you can follow the tutor (s) slide-by-slide during the course, as well as recall the lecture more easily when you review the material at home. Other than perhaps the odd scribble you need not touch a pen so you can totally concentrate on what is being said & done. This course is very firmly aimed at enabling health professionals to practice this interesting topic in a clinically responsible fashion. Many claims are being made about what one can do with Live Blood Analysis and this course will blow the trumpet of caution on several popular assumptions. That way you are going to end up with 1) a balanced view and 2) greater clinical confidence. By examining this topic in an comparative way from several angles you will get an excellent grasp of what is reasonable and above all what works in clinical practice!! Evidence-based Medicine is fashionable so it seemed reasonable to give you an evidence-based course as much as this is possible. For instance, some courses mention that target cells are linked to a lecithin cholesterol acyl transferase (LCAT) deficiency but few deliver the (patho) physiological model behind it. After the known enzymatic coagulation cascade and the metabolic/nutritional details to do with it, blood coagulation morphology remains pure pattern recognition. Unfortunately this must be accepted. This course endeavors to explain medical certainties behind the patterns wherever this is possible and discuss differing points of view. Of course this is a practical course; the day after you should be able to make a good job of testing your family & friends and soon feel confident to use it in your clinic. Following this course you are welcome to e-mail me queries (possibly accompanied by captured live blood images) about a difficult clinical case or microscopes. My one word of warning is do not buy a cheap microscope, they are cheap for good reason. If your field is Optimal Nutrition then why go for equipment that doesn’t show you all you need to see to do your job right. Think about that. This Live Blood Microscopy Course course outline for 3/6 very full days of tuition and includes 2 Integrated Medical Clinic Analysis script (which is a related course in itself) and the copious course notes. The number of attendees is limited to a maximum of 5. In Philippines, where significantly less people have enrolled for this course as compared to the Continent, shepherding of attendees needs to be done to arrive at an economically viable course i.e. dates are set after a critical number of people has been reached. Not all blood microscopy courses are equal. It matters hugely what course you take as to what clinical perspective & prescriptions you end up using afterwards. Courses biased towards pleomorphism (Prof. Enderlein) invariably make you biased to practice along those lines. That is why this course covers all aspects, in depth and without bias. Simply enroll using this form or send an e-mail to Dr. Eddy stating that you want to attend this unique online course on Live Blood & Coagulation Morphology Microscopy. If you interesting in the 3 day’s or 6 day’s Course. He will then e-mail you back for your details and discuss forthcoming courses. Enrolment is on a strict first-paid first-served basis. Prof. Enderlein’s observations in Darkfield are meticulously documented in his book Bacteria Cyclogeny but there are no (referenced) articles in peer reviewed medical journals available. People have asked if there is any pre-course reading they can do. There are many books on hematology that can refresh your memory on the different blood corpuscules. You must remember that such books predominantly show stained preps and not ‘live blood’ as we do, but still it is a sensible start. Books on pleomorphism aren’t quite so readily available but you can browse the Internet for the magazine Explore website which will provide you with some interesting pleomorphic articles. Also it may be useful to read the various clinical examples. For now, we look forward to welcoming you on our course. On the CD are explanations and videos which Dr. Eddy use in his course, and the students like to use them after course as well to continue the study, because It is quiet comprehensive. Dr. Eddy will guide you step by step trough the same course topics also in his online course and he use the same detailed course outline as in his classes by the one to one training. By Thomas Rau, M.D.Published for the first time in this form, Biological Medicine is a combination of the latest diagnostic technology and a broad range of traditional, natural healing methods including holistic dentistry and orthomolecular medicine. how much does the cource with the cd cost?